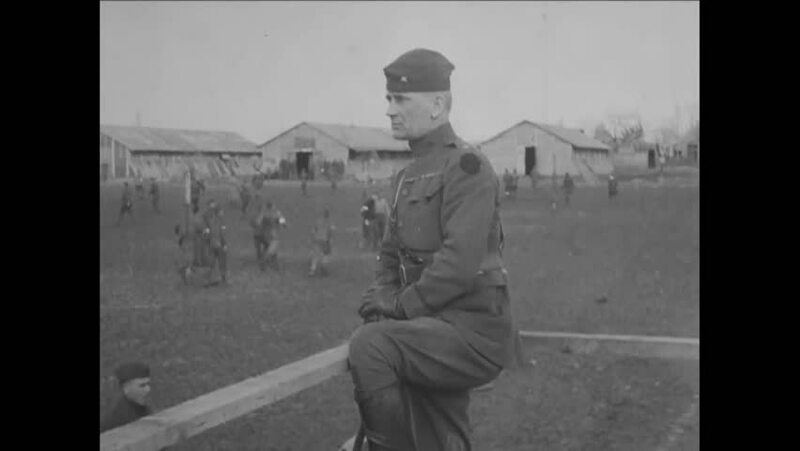 CIRCA 1919 - General Bjornstad watches troops play a game of "Doughboy" at Royaumeix. hd01:39CIRCA - 1918, 1919 - Aumetz, France after the evacuation of German troops after the Armistice of WWI. hd01:09CIRCA 1923 - A soccer match during festivities in Heenreveen, Netherlands. hd00:33CIRCA 1962 - Audie Murphy sees an Honest John get fired and General Trudeau shows him a Redeye missile at the White Sands Proving Grounds. hd00:241940s: Young man and lady dance in room of dancing couples. Girl and boy leave school carrying books past other students to yard. Second girl chases boy over lawn, two girls watch. Girl rides on boat.